Visit our new and used dealership near Fort Worth, Texas. We offer all of the financing, sales, and service options needed for your automotive needs. The experts at Bruce Lowrie Chevrolet are here to help you find the services you need. Feel free to contact us about our current new car specials near Fort Worth, Texas! It's only a simple 11-minute drive from Fort Worth, Texas to our dealership. Begin by making a left onto Monroe Street and then left onto Texas Street. Then make a right onto Jennings Avenue. Make a left onto West Lancaster Avenue after, then keep right onto E Lancaster Avenue towards I-35 S.
Turn right onto South Freeway and keep left to merge onto I-35W S. In 5.2 miles, take the exit 45A onto I-20 W. Keep right toward Hemphill Street and make a left onto Hemphill Street, then our dealership will be on your right! Check out our directions page to learn more about our options. Check out our finance options in Fort Worth, Texas! Start by applying for car credit online. Our secure credit application is simple to follow and even easier to process. If you have questions about our car finance options and lease offers, feel free to reach out our finance department directly. It is our pleasure to help you explore the differences between leasing and financing cars. Ask about our selection of vehicles for sale now, and we will do our best to get you financed near Fort Worth, Texas! Are you looking for new cars for sale near Fort Worth, Texas? The experts at Bruce Lowrie Chevrolet have the models you've been looking for. Whether you're interested in financing a pre-owned Chevrolet Silverado or a new Chevy Camaro, we have something impeccable waiting for you. As a professional new and used car dealership, we send all of our used Chevrolet cars through a rigorous inspection process before putting them in our showroom or on our lot. Why? So that our customers always have the utmost confidence in our vehicle options! 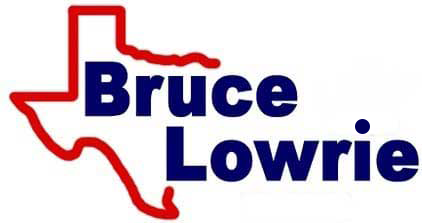 If your car came from Bruce Lowrie Chevrolet, you should trust it.